What Sets Quality Home Exteriors Apart From the Competition? Home / Home Improvement / What Sets Quality Home Exteriors Apart From the Competition? Remodeling Magazine’s Big 50 Award is given to the fifty distinct remodeling and roofing companies who exhibited the following: exemplary industry leadership, keen business knowledge and superior customer service. 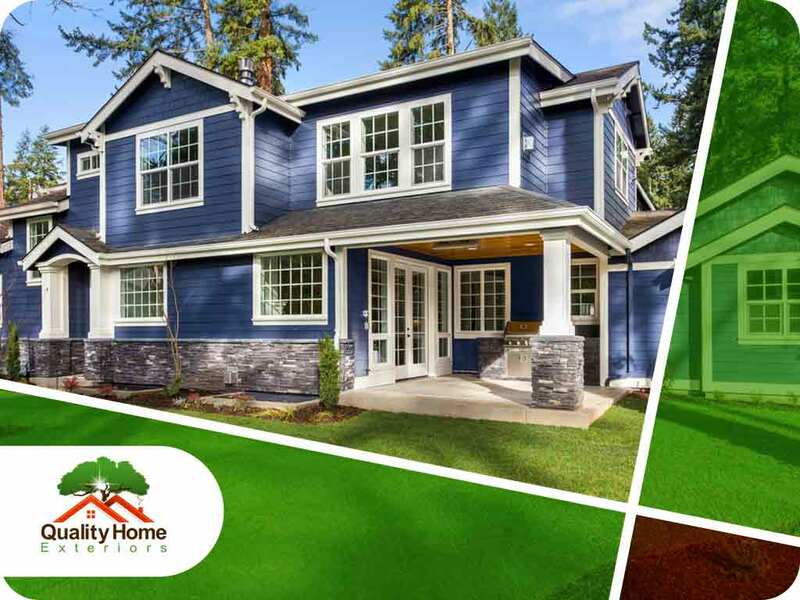 Quality Home Exteriors is in a class of its own as the sole exterior company awarded in Nebraska. What qualities earned us this award? Let’s take a look. Brian Diamond’s backstory of how he became our inspirational leader at QHE is fascinating. He left the comfortable corporate life, after he saw how many home improvement and roofing companies neglected customer satisfaction for profits. After that, he revived the home improvement business of his parents, and his eyes were set on this one particular prize – combing the top-of-the-line installation services and products of a large company with the affordability and warm customer approach which were trademarks of his family. Customer care and relationships are at the heart of Quality Home Exteriors. Of the many roofing contractors in the state, we are the most acclaimed, and we’ve been beautifying homes for more than two decades. We offer a wide variety of quality replacement windows, siding and roof replacements that suit different residential home needs. For instance, do you think it’s time to thermally optimize your home? Our double-hung windows, powered by the EdgeForce™ feature of Mezzo® Windows, will surely aid your pursuit of energy efficiency. Meanwhile, if you’re considering investing in a new roof and you want to design it yourself, the Atlas Roof and Home Design Studio will allow you to tinker with unique roofing designs, materials and colors. Rest assured that all our roofing materials are carefully sourced from one of the best brands – Atlas®. We have positioned ourselves as one of the Midwest’s best roofing contractors. Currently, Quality Home Exteriors holds a 4.4/5 stars rating from Facebook reviews, and 4.6/5 from Google My Business feedbacks. We owe a lot of it to our engaged team members who share the same vision and aspirations as us. Typical feedback praise how knowledgeable, professional and courteous our installation teams are. Our customers also commend how neat our installers left the place – stating, for instance, that their homes were left cleaner than before our people arrived. We instill in all our employees the importance of going the extra mile for our clients. With the above-mentioned qualities, allow Quality Home Exteriors to make the time-tested difference in your home. Give us a call today at (402) 401-4505. We serve clients in Nebraska and Iowa, including Des Moines and Omaha.